April 26-27, 2019 – Olympia Arts Walk – a semi-annual community event celebrating the arts both regionally and nationally. 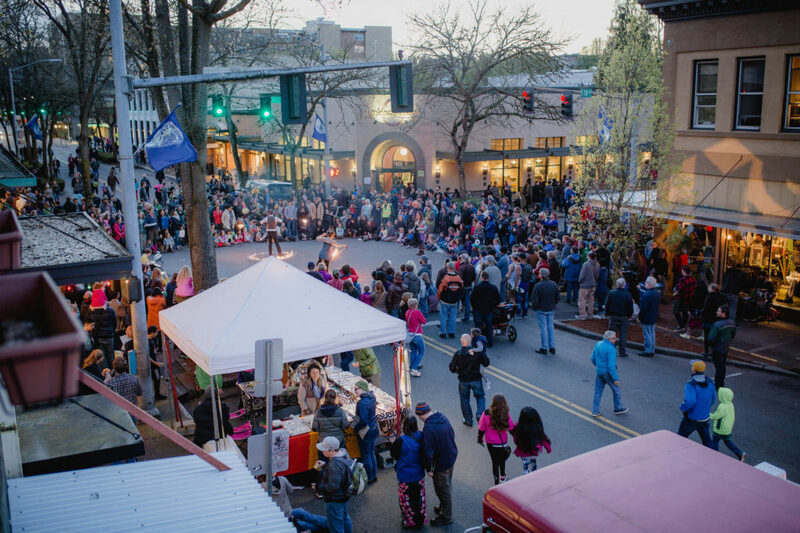 Since October 1990, thousands gather in downtown Olympia in both the fall and spring for a festive arts experience that uses creativity to connect and engage people. Many of our unique downtown businesses and organizations transform their spaces into creative hubs filled with art, demonstrations, and performances. In the streets and sidewalks, you will find pop up performances and places to connect around almost every corner.